Just over two years ago, on 13th September 2016, I posted an article on Art UK about the history of the remarkable Bishop Otter Art Collection at the University of Chichester. 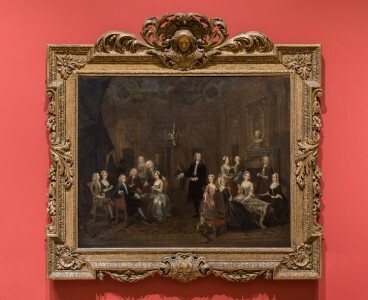 It was a period of much celebration of a nationally significant collection of work by some of the most important figures in twentieth-century British art, and one that witnessed the publication of The Bishop Otter Collection by Sansom & Company, and exhibitions of the collection at the university’s Otter Gallery and Pallant House Gallery, Chichester. 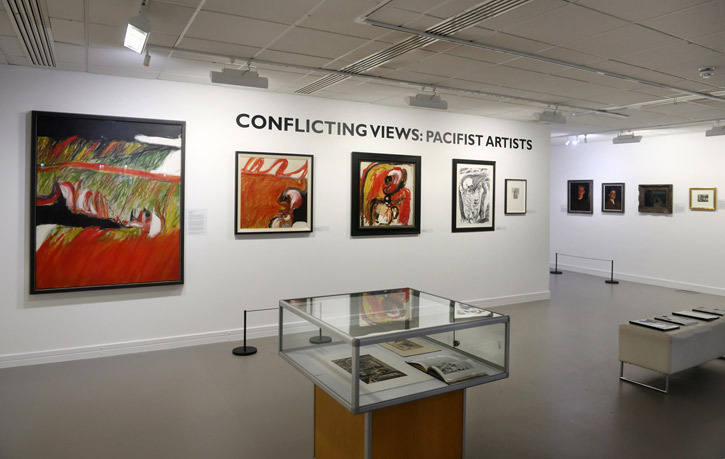 The timing was significant as it marked the centenary of the birth of one of the founders of the collection, Sheila McCririck (1916–2001), Head of Art at Bishop Otter College from 1949–1977. McCririck, together with K. M. Elisabeth ‘Betty’ Murray (1909–1998), Principal of Bishop Otter College from 1948–1970, created a unique collection despite limited funds by leading post-war artists including Sandra Blow, Terry Frost, William Gear, Ivon Hitchens, Peter Lanyon, Henry Moore, Paul Nash, William Scott and Stanley Spencer. Less than two years after these celebrations, it was announced by the university that the Otter Gallery, named in honour of Bishop William Otter (1768–1840) in whose memory the original college was founded, was to be closed in early October 2018 after the exhibition 'Conflicting Views: Pacifist Artists'. A decision was subsequently made to push the closure back to December 2018 to enable the university’s MA Fine Art students to hold their interim exhibition 'FINAL ELEMENT' in the Gallery. The Friends of the Otter Gallery was closed by the university in November 2018. 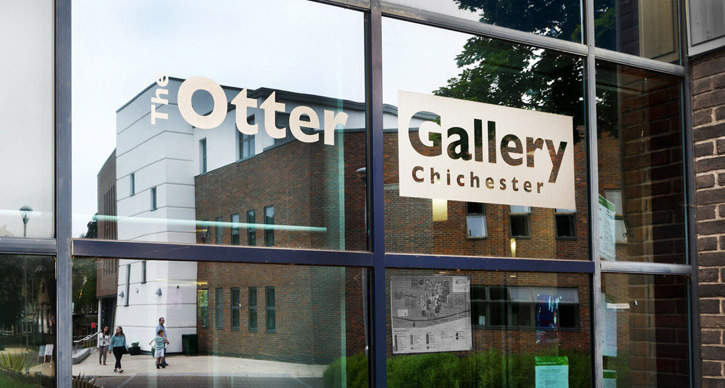 The purpose-built Otter Gallery on the Chichester campus was inaugurated in April 1998 by Lord Dearing in the newly built Learning Resources Centre. Artwork from the collection also continued to be placed across the Bognor Regis and Chichester campuses for the benefit of students, staff and visitors alike, reflecting McCririck’s and Murray’s original intention. The Otter Gallery is therefore now closed and is being ‘repurposed’ as a centre for Student Employability and Enterprise. Its closure has been keenly felt – one of Art UK’s contributing photographers Anne-Katrin Purkiss set up a petition which attracted 2,400 signatories within three months, including Royal Academicians such as Phyllida Barlow, Mali Morris and Rebecca Salter, and many past students and staff who strongly opposed the action being taken and called for a rethink. Concern was further expressed by national organisations and the International Committee for University Museums and Collections in letters to the university. A website was set up by supporters to inform about the recent history of the Otter Gallery. 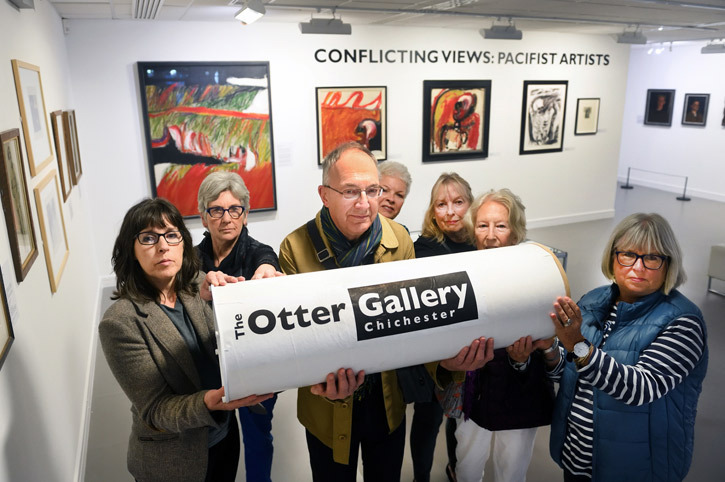 Artworks continue to be placed around the campuses for the benefit of all, but the jewels of the Bishop Otter Collection cannot be placed in open locations that compromise optimal environmental conditions and security. Visitors can, of course, enjoy seeing various artworks across the campuses, including the Willi Soukop sculpture and the Jean Lurçat tapestry in the chapel on the Bishop Otter campus, and the Geoffrey Clarke sculpture outside it. Items from the ceramics collection can also be viewed on both campuses. It remains unclear, however, how the university proposes to enable members of the public and the university community to see artwork from the distinguished Bishop Otter Collection by the likes of Edward Bawden, Richard Eurich, Paul Feiler, Patrick Heron, John Hitchens, Graham Sutherland and Alfred Wallis – and those artists previously mentioned, all of whose work is currently in store. At least – for now – many of them may be seen on Art UK.